TORONTO – On a grassy lawn at the intersection of King and Trinity Streets, an inconspicuous plaque shares an impressive tale about Little Trinity Church, the Gothic Revival-style building next door. “Founded in 1842, this is the oldest surviving church in the City of Toronto,” the inscription reads. Unbeknownst to many GTA residents, the 19th-century residents listed on that plaque were responsible for both envisioning and developing much of Toronto’s downtown core. Gooderham and Worts, in particular, brought a wealth of jobs and industry to the area by establishing a thriving distillery to its immediate southwest. While the “Distillery District” is no longer in the business of actually producing spirits, in recent years it has taken on a new life as one of the city’s most beloved seasonal attractions. Like many other heritage buildings in the area, it also serves as a testament to the industriousness and workmanship of the area’s earliest citizens: a largely Irish immigrant class, whose original homes and workplaces can still be seen on many of the neighbourhood’s roads. In the 21st century, however, the neighbourhood has blossomed into a truly multicultural community, with a relatively young population – by 2013, Corktown’s median age of 36.6 years old skewed significantly younger than the median (38.6) for the rest of Toronto. The neighbourhood’s new-found diversity – and its expansive new residential addition dubbed the “Canary District” – will play a key role in July and August, when the District serves as a temporary Athletes’ Village for the 2015 Pan Am / Parapan Games. In recent years, the development focus in West Don Lands and Corktown has been on adding new high- and mid-rise communities to an existing low-rise streetscape. The shift to date has been dramatic – as of 2013, Corktown’s highly recognizable heritage rowhomes constituted just 18 per cent of its residential real estate offerings. Brand-new for fall 2016, Home boasts an excellent location near the DVP’s Eastern Avenue on-ramp and just steps away from the trendy King St. East design district. Developed by Great Gulf and Hullmark, the project offers modern amenities and affordably-priced suites, with 1BR condos starting in just the high $200,000s. Buyers interested in registering for Home (currently in preconstruction) can do so via our New Releases profile of the project (just click “Register Today”). Covering nearly the entire span of what most Torontonians would consider to be within West Don Lands’ boundaries, Canary District previously received coverage on this site when its newly-completed buildings were finally unveiled in April. Complementing the roughly 800 townhomes and condos Canary District will bring to the neighbourhood, Dundee Kilmer’s master plan for the community also includes 40,000 square feet of retail, a YMCA fitness centre, and even a postsecondary residence building for students attending George Brown College. 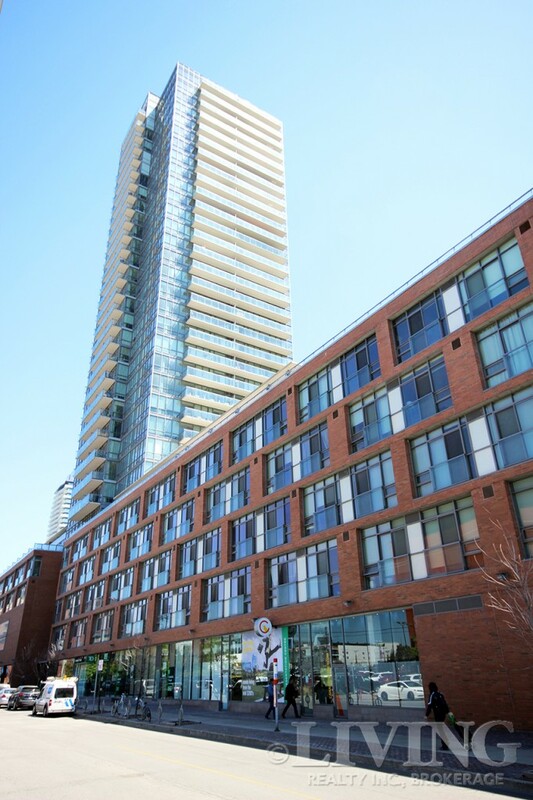 While those hoping to explore the Canary District will have to wait until after the TORONTO 2015 games (during which it will serve as the Athletes’ Village), those hoping to purchase a home in this exciting new community can still do so at Canary Park – which is still in preconstruction. The newest addition to our New Releases condo index is also the neighbourhood’s newest high-rise community, currently selling in preconstruction after a May launch that earned a great deal of interest from homebuyers and investors alike. Located in the heart of Corktown, at the intersection of Berkeley and Richmond Streets, East United’s 21-storey tower and impressive podium offers buyers a diverse blend of floorplans, with suites starting in just the low $200,000s. While the project won’t be complete until approximately 2018, it’s not too early to explore the floorplans and register. Since the completion of the second building in 2014, the two towers of Condominiums at the Distillery – dubbed “Gooderham” and “Clear Spirit” – have become an unmistakable presence on the eastern downtown skyline. While the community does offer its residents an enviable selection of features, finishes, and amenities, by far its biggest draw is its location. Nestled in the heart of the chic Distillery District (south of Mill Street between Parliament and Cherry), Condominiums at the Distillery puts buyers literally steps away from some of the trendiest dining, galleries and boutique retail destinations in the city. Since its completion in 2012, The King East’s bold architectural stylings have helped it stand out as the King-Parliament intersection’s most charismatic presence. Its 250 condo suites match loft-inspired layouts with designer styling, to create an east-end setting that is perfect for discerning high-end buyers. With floorplans still viewable at the project’s official website, The King East remains one of the area’s strongest high rise offerings for buyers who would prefer to purchase a finished (but relatively new) home. What really makes Corktown and West Don Lands stand out from the neighbourhood South Core and Financial District is its reputation for playfulness and authenticity – a trait that shines through in local dining, retail, and cultural offerings, and has played a key role in attracting younger families and professionals to the area. Boasting exceptionally high Walk Scores and Bike Scores (95 and 100 respectively, for East United’s intersection of Richmond and Berkeley), Corktown is a true haven for urban explorers, with plenty of hidden gems to offer in the form of parks, public artwork, and heritage buildings. Claiming top billing as the area’s most prominent new outdoor attraction, Corktown Common – situated just south of where Bayview Avenue meets Eastern Avenue – is a must-visit for residents and visitors alike (although you may want to wait until August 31 to do so, as it’s fenced off for the Pan Am Games). The park’s 18 acres of greenspace feature a natural wetland ecosystem, solar-panel-equipped event pavilion, and playgrounds as well as playing fields for the kids. Widely known across the GTA for its popular Christmas Market, the Distillery District is also a preferred 416 destination for dining – with regional favourites like El Catrin, the Mill Street Beer Hall, and Balzac’s Coffee all just steps from each other within the historic complex. A little further north on King Street, you can find a quirkier and more relaxed vibe at local spots like Morning Glory Café and Tandem Coffee. Corktown’s King and Parliament intersection, meanwhile, is also regarded as a retail destination for those seeking high-end furniture and décor products – with LUXE Appliance Studio, Barbara Barry Home, Cambria Studio, and Roche Bobois all just steps away. Those who prefer their retail therapy in garment form can head south, where fashion boutiques make up the majority of the Distillery’s extensive shopping directory. Situated in the former site of “Tank Houses 9 and 10,” in the heart of the Distillery District, the Young Centre for the Performing Arts has received numerous design and architectural awards since opening in 2006. This impressive venue, the home of Toronto’s long-running Soulpepper Theatre Company, hosts a wide variety of theatrical performances and is also known for its affordable and intimate Cabaret Series. Those seeking a more musical stage experience can sometimes find one at the intersection of Trinity and Front Streets, where the 450-seat Esso Imperial Oil Opera Theatre – owned and operated by the adjacently-headquartered Canadian Opera Company – occasionally plays hosts to public performances. Whether you’re more interested in an affordable new condo community like East United and Canary Park, or in taking a look at one of the area’s charming low-rise homes, the best place to start is with contacting a real estate sales representative – preferably, one with a strong knowledge of the downtown market. 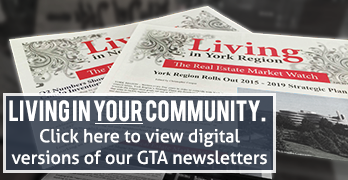 To kick off your search, we recommend getting in touch with a member of the sales team at Living Realty Inc., Brokerage, who can help get you started by providing further neighbourhood information, and going over some of the properties currently listed for sale.